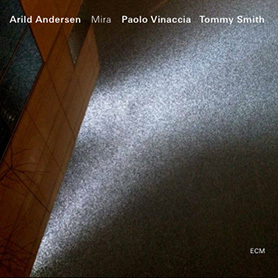 Like Garbarek, bass player Arild Andersen started out in free-jazz. He is internationally known through collaborations with people like George Russell, Don Cherry and the aforementioned Garbarek. He has also led his own, highly acclaimed jazz combo «Masqualero». These two releases, recorded with a band including folk singer Kirsten Braaten Berg, who also plays jew’s harp and Langeleik (which is a Norwegian zither), and supremely talented percussionist Nana Vasconcelos both contain music based on themes from Norwegian folk music. «Sagn» is a suite of songs made to order for the Voss Jazz Festival in 1990. Recorded just a year after Garbarek and Garnas’ groundbreaking «Rosensfole» it can be seen as the natural culmination of the aural experiments started on that record. As a member of Garbarek’s 70’s quartet, Andersen was no newcomer to folk music. He had used themes from various ethnic sources as starting point for improvisations long before the term world music was invented and had traveled roughly the same musical path as Garbarek. It was more or less a coincidence that they got interested in their Scandinavian roots at the same time. «Sagn» have much in common with «Rosensfole»: The songs borrow their melodies from traditional sources and vocalist Kirsten Braaten Berg comes from a traditional folk music. But while Garbarek’s music is a calm and multi-layered studio creation, Andersen’s compositions have a looser feel to them. Both «Sagn» and «Arv» were written to be performed live by a working band and each musician is given lots of space to improvise. This results in several moments of pure transcendence, like when Vasconcelos’ wordless scatting merges with the traditional singing of Berg on «Sjugur og Trollbrura» or the many instances when Berg’s voice comes soaring forth carried along by Andersen’s whomping bass. Besides Andersen, Berg and Vasconcelos, the band on «Sagn» was: Frode Alnaes (guitar), Bendik Hofseth (saxophone) and Bugge Wesseltoft (keyboards). Like it’s predecessor, «Arv» was also made to order – this time for the Bergen classical music festival in 1993. The line up had been slightly altered: Eivind Aarseth had taken over the guitar and newcomer Paolo Vinaccia shared percussion duties with Vasconcelos. The traditional melodies on «Arv» are the same folk songs used by the classical composer Edvard Grieg in some of his most famous compositions (opus 17, 66 and 72). The record offers 1990’s versions that are very different, but definitely in Grieg’s spirit. Needless to say it is every inch as good as «Sagn» and the fact that one can compare the arrangements with those of Grieg’s makes for some fascinating genre-crossing listening experiences. I personally prefer Andersen’s two releases to «Rosensfole» as I find the music more spontaneous and swinging. Garbarek concentrates on the background, building up layers of sound that wraps the traditional vocals in unfamiliar harmonies and thus give them a new freshness. Andersen’s is closer to jazz with lots of breathtaking ensemble playing as well as excellent solos from each musician. While Garbarek and Garnas could be said to have started a new trend in Norwegian folk music, Andersen’s releases pretty much define the genre. These two albums are almost interchangeable and both are absolute musts in any collection of contemporary folk (or jazz) music from Norway. 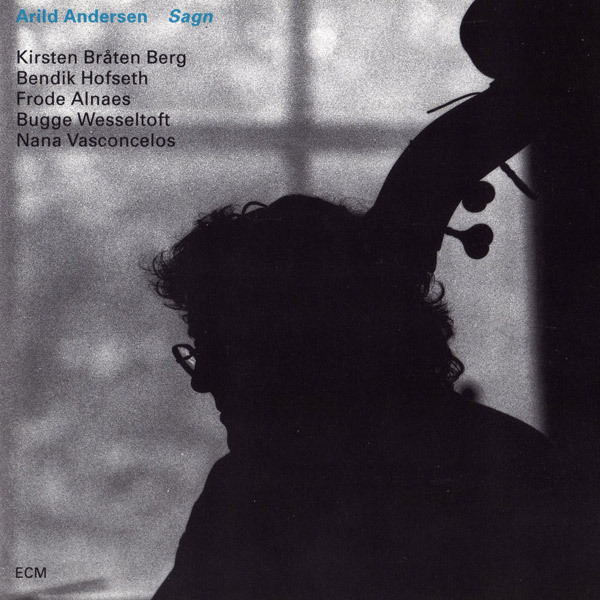 «Sagn» is distributed internationally by ECM, while «Arv» has only been released by Kirkelig Kulturverksted.